This is not meant to be taken as a statement of fact or truth, rather it is a humorous exercise in using osteological knowledge to examine a current debate. With that, let’s begin. The Santa Issue I- Who is St. Nicholas? Yesterday we talked about the reason why Santa’s ethnicity and bones have been discussed in the news recently, and then who St. Nicholas actually was. 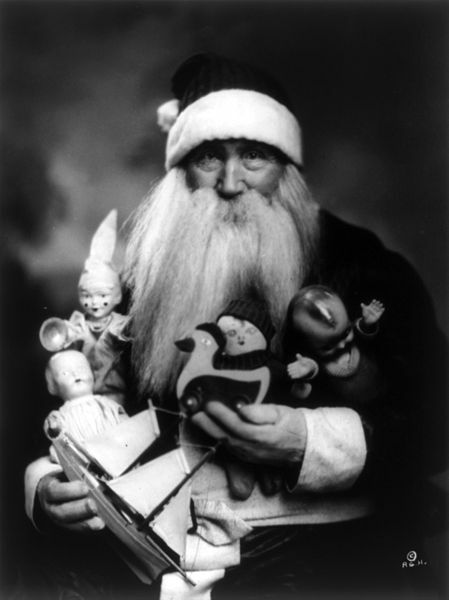 Today we’re doing something a little more fun- we are going to do an osteological analysis of different versions of Santa. A gift giving entity is a popular myth in many different cultures around the world, though it primarily stems from European countries. The figures generally appear during december, and specifically around the winter solstice. The character usually gives gifts to children and the poor, and is renowned for bringing joy and cheer to people during the colder weather. However, the actually individual varies between different countries and traditions. Here, we report on the excavations of a number of individuals who potentially are ‘Santa’ (again, this isn’t real, just having fun here). Excavation 1: An archaeological excavation in Germany revealed the remains of a single individual and a single horse buried in proximity. The cemetery dates between the 3rd and 4th century, and is not a Christian cemetery despite the presence of this religion in nearby areas. Osteological analysis of the bones revealed that the individual was a male and an older adult. Paleopathology showed that he had arthritis in the spine and changes to the femur indicative of extensive horseback riding. Due to the arid environment of the coffin, long white hair was preserved along with the individual, but it is unknown whether it is beard or head hair. The most interesting feature of both the human and equine remains is that they are larger than normal. Measurements of both reveal they had above normal stature. Artifacts found in the human’s coffin include the clasp for a large cloak, a large ale drinking mug and there were numerous artifacts found with him that are customarily gifts given around the Yule period. Research was done about this area has revealed potential information about who this individual may be. Prior to Christianity, many Germanic groups celebrated Yule, a midwinter celebration where supernatural and ghostly things occur. Yule is often celebrated by sharing of toasts with ale, and feasting. 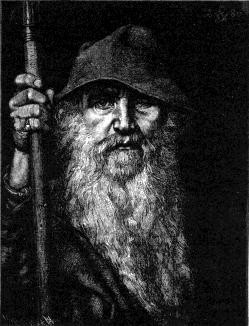 Odin, a pagan god, was the leader of ghosts and supernatural beings in this period, and he is said to have been an influence on the modern Santa. He had a long white beard, wore a large cloak, and rode on a horse through the sky. During winter, he would bring gifts to his people. Given the artifacts, presence of equine remains and the human remains, we determined that they belonged to Odin, the earliest Yuletide god. Excavation 2: The next excavation was conducted in Belgium, during December, and revealed the remains of a dozen human individuals and a horse buried near a port dated to the Middle Ages. Two of the human burials received much more attention and had higher numbers of artifacts. The first individual was an old adult male with evidence of arthritis and bony changes in his lower back, upper femur and hands. It is highly likely this individual was involved in horseback riding and spent large amounts of time writing. Artifacts found with the remains include a gold clasp, evidence of red fabrics, and a long ceremonial pastoral staff, known in this region as a crosier. The second individual was a younger male, potentially of African origin. Within the burial was two artifacts, golden buttons associated with the Moors of Spain, and remains of the bindings of a large book. Other individuals were a range of ages and sexes. Near the cemetery was a stash of nuts and small artifacts that could have potentially been gifts. 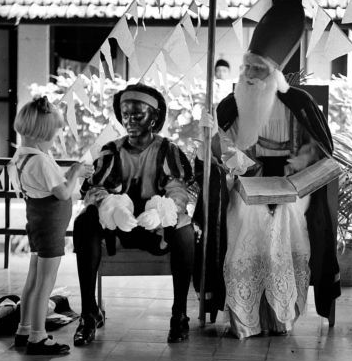 Research into these individual revealed the myth of Sinterklass. Sinterklaas is portrayed as an elderly man who wore red garments and carried a crosier. He was accompanied by a Moor named Swarte Piet (Black Peter), that carried the book of Sinterklaas that contained the names of good and bad children, and listed who was receiving presents. The two travelled on a boat from Spain in early December with an entourage that carried nuts, chocolate and gifts to the good children in the Netherlands, Belgium and Luxembourg. They would arrive on December 5th or 6th, and Sinterklaas would spend the next three weeks riding a horse through the area delivering the presents. Given the bones found in the cemetery, the location by a port, and the presence of caches of gifts, it is highly likely that these are the remains of Sinterklaas, Black Peter and their entourage. Excavation 3: Our final excavation took place in the North Pole, and dates to the mid-19th century. It was a large undertaking due to the presence of hundreds of graves. The initial excavation revealed two wealthier, high status burials at the top of a large mound and burials of eight reindeer within the sides of the mound. The two individuals include an older adult male and older adult female. Both show have evidence of arthritis due to aging and weight, thickening of the bones and have signs of diffuse idiopathic skeletal hyperostosis (DISH). DISH is a disease associated with obesity and a rich diet. Both these individuals were well fed and led easy lives that allowed them to gain weight. They were found with numerous red and white fabrics, and have offerings of children’s toys around the burials. The reindeer found were interesting because they lack the arthritic and bony changes found with older animals who pull sleds or are walking long distances on the ground. Ground penetrating radar of the surrounding area revealed a shocking find, hundreds of child sized burials. Only a few of these were excavated, but they revealed the same patterns. Despite the smaller size, the individuals were all adults evidence by bone fusion and dentition. All had signs of arthritis throughout their joints and skeletal changes associated with muscular use. All were hard workers who lived difficult lives. Research into this excavation was based primarily on folklore from North America and England. It was determined that this cemetery belongs to Santa and Mrs. Claus, who were found buried on the mound. The diseases found on the skeletons can be attributed to their strict cookie and milk diet, that would have led to obesity, and caused strain on their bones. The lack of arthritis and muscular development among the reindeer can be associated to their ability to fly, a fact found while exploring local folklore. The hundreds of individuals found around the mound are likely the elf workers of Santa given the use and wear of the bones. There are many other Christmas or Yule related individuals! Feel free to write up an excavation and osteology report about some other famous holiday individuals! Perhaps Father Christmas or the grandma who got run over by a reindeer!